The selfie camera is Xiaomi newly discovered USP and the Redmi Y2 will build on that feature. Xiaomi claims that it is going to be the "best selfie smartphone" in the Redmi series. 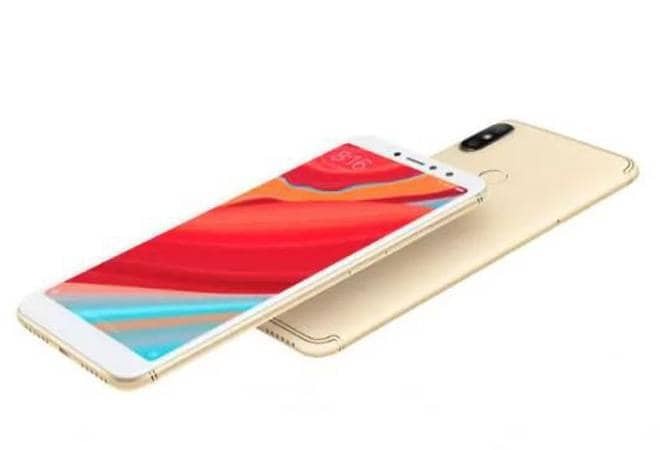 Xiaomi's first smartphone in the Redmi S-series, Redmi S2 was launched in China last week and is expected to be in India by June 7. However, what is interesting is that the phone is likely to launch in India as the Redmi Y2 instead of Redmi S2. The new Redmi handset was seen in the teaser by Xiaomi in various social media channels, though not many details were revealed. The selfie camera is Xiaomi newly discovered USP and the Redmi Y2 will build on that feature. Xiaomi claims that it is going to be the "best Redmi selfie phone". The phone has camera features powered by artificial intelligence (AI) and a new front-facing camera sensor that comes with an impressive 2-micron pixel size, which should aid with low-light photography. Redmi India, on its Twitter account on Monday posted an official teaser video which said the phone is scheduled to reach the Indian markets for June 7 in New Delhi. The company is using hashtags like #FindYourSelfie and #RealYou to highlight the alphabet "Y" in the teaser which is a clear give away to the nomenclature of the device. The Redmi Y2 is likely to be the successor of the Redmi Y1. The Redmi Y1 was launched last November with selfie-centric features along with an LED selfie-light. The Y1 was also the first Xiaomi device to get celebrity brand ambassador in the form of Bollywood beauty, Katrina Kaif. The Xiaomi Redmi S2 with 3GB RAM and 32GB storage has been launched with a price tag of CNY 999 (roughly translates to Rs 10,600) and the 4GB RAM and 64GB storage is priced at CNY 1,299 (around Rs 13,700). In China, both the variants will go on sale from May 17 and will be available in Champagne Gold, Platinum Silver and Rose Gold colours. The price details for India have not been revealed. The USP of the phone is a 16 megapixel front facing snapper with 2um micron pixel size and the budget price. Xiaomi is trying to capitalize on the selfie-phone market by introducing a second phone in the budget range; the first was the Redmi Y1 which also comes with a 16megapixel sensor. The selfie camera of the phone is the biggest highlight. It comes with AI portrait mode and AI beautification. The primary camera comes with a dual-lens setup. It features a combination of 12megapixel and 5-megapixel sensors with pixel size of 1.25um microns. The device is powered by Snapdragon 625 which can still be spotted on various Xiaomi devices selling in India, including the Redmi Note 5. The Redmi S2 will have a 5.99-inch display with HD+ resolution (720 x 1440 pixels) and an 18:9 aspect ratio screen with narrow bezels. It will come with Android 8.1 Oreo based MIUI 9 operating system. The handset will be powered by the Snapdragon 625 SoC with Adreno 506 for graphics. What privacy on Internet means for Indians?